Thisweek, comments from guest blogger Brian Rishikof, Vice President of InnovativeSpace Propulsion Systems, LLC, as he comments on the International SpaceStation as a unique test bed for the aerospace industry. New technology requires rigorous testing prior to productionand deployment, and this is especially true for the aerospace industry. Whendeveloping for space, however, you have a unique set of requirements that canlimit your testing platform options. This is why the International SpaceStation is such an asset for industry growth and progress. Innovative Space Propulsion Systems, LLC, for instance, isworking on high-performance, non-toxic (or “green”) monopropellant replacementsfor in-space chemical propulsion systems, called NOFBX®. Using a simple, feedsystem and lightweight engines capable of deep throttling and operation fromany fluid phase, we hope to revolutionize spaceflight and associated groundoperations with radically improved safety, minimal pollutants and reducedcosts. While there will be significant testing on the ground,flight testing is necessary to truly achieve full requirements verification for—andcustomer confidence in—the NOFBX® system. Ground testing allows us tocharacterize the system and resolve all issues for safe demonstration on thespace station, getting us to technology readiness levels of 6 to 7 (on a scaleof 1 to 10). This range represents the development to demonstration phases ofthe product in analogous environments. A flight experiment, however, canachieve a readiness level of 8 to 9, which seeks to demonstrate actual operationsin the intended environment. From a corporate and commercial perspective, thisis essential. 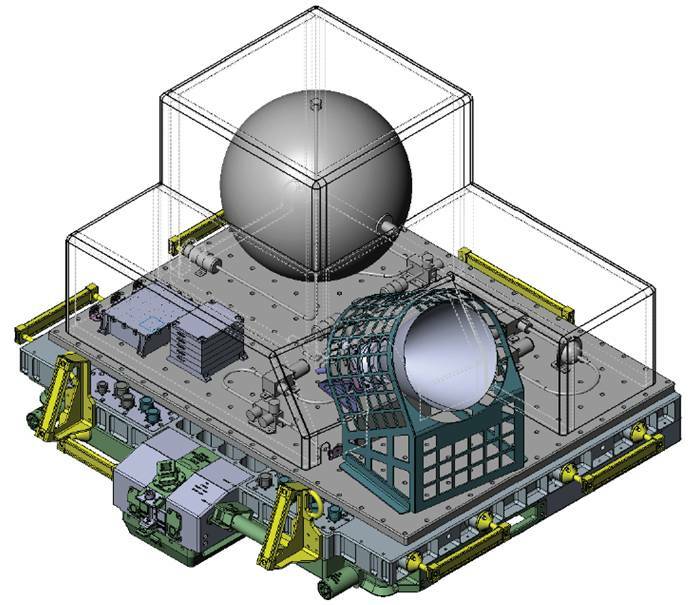 Theimage above is a Computer Aided Design representation of baseline NOFBX flight experiment pallet. Although the behavior and performance of a productundergoing testing can be well characterized on the ground, certain conditionsrequired for our test objectives cannot be replicated. For example, long-termexposure to the space environment, thermal cycling, microgravity, etc. cannotbe fully simulated on the ground. They are only achievable on platforms such asspace station or, to some extent, with suborbital flights. Our company wants tocharacterize how the system behaves and performs over time by running selectedtests after long quiescent/dormant periods when the system is completelyunpowered, however, which obviates the effectiveness of suborbital testingplatforms. The space station also has many unique advantages as a testbed. It is already equipped with well-defined services for all the necessaryresources: power, data, mechanical, and analytical needs. It is, after all,designed to function as a laboratory. These resources reduce the complexity,technical risk, and total cost for users performing tests and investigations. Thespace station also supports video download, permits testing over an extendedperiod, and provides generous mass/volume/power capabilities. 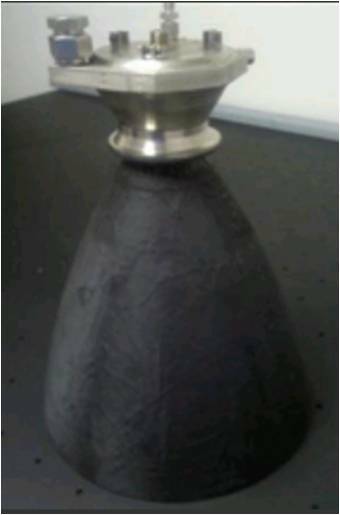 This allows forrapid design and flight of a human spaceflight safety-compliant system that willaddress thruster characterization, propellant transfer, and extended operationsobjectives in a single payload. Given the criticality of flight heritage in developing and commercializingthis technology, the station offers the shortest conceivable time-to-flight(~18 months), as well. In other words, the maturity and availability of thestation, and opportunities for transportation to the station, allows us topursue an aggressive schedule for in-space testing and demonstration, which inturn allows us to get to a marketable product sooner. Employing ISS as a test platform accelerates the scheduleand significantly improves the business case (and U.S. competitiveness),because it allows timely consideration within the commercial crew developmentarena. This is of particular interest to my company as other “green”monopropulsion systems, some of which have already flown, are penetrating thecustomer market. Based on our review, the performance and other attributes ofour propellant and propulsion systems offer significant advantages.Demonstrating a superior alternative as quickly as possible will facilitatemarket penetration and accelerate U.S. competitiveness and achieve leadershipboth domestically and internationally. This will also accelerate theavailability of the cost and safety benefits to the U.S. government andgovernment suppliers. Safety considerations also benefit from space stationtesting. The space station-based flight test positively enforces compliancewith all the safety requirements associated with operation of the propulsionsystem at, or in the vicinity of, the space station. There currently is noexisting established standard for bringing a new aerospace propulsion systeminto manned spaceflight applications. The space station safety review process isthe closest standard for acceptance testing a new system for human spaceflight. It has become clear in my discussions with many potentialcustomers and users that the actual flight test in space changes perspectives. Provenflight heritage transforms casual interest into true consideration for missionapplications, such as commercial crew and cargo delivery to the space station.I constantly get asked, “Has it flown, yet?” or, “When will it fly?” Part ofthis customer interest derives from engagement with the NASA space stationteam, which provides access to independent expertise, processes, equipment andexperience. This adds significantly to the rigor of our combined work, and the necessaryconfidence that the end product is ready to be safely used at the space station,and by other customers for other applications. Business operates on a global level, and the space stationprovides an unprecedented opportunity for domestic and international exposure.The station platform receives significantly more attention than other spaceassets, therefore enabling awareness and knowledge of the technology across amuch broader segment of the U.S. government and commercial industries. Inaddition, the international nature of the space station can generate interestfrom the international community and catalyze business opportunities and accessto new markets. This is not be possible on any other test platform, making thespace station a truly unique resource. Brian Rishikof is VicePresident of Innovative Space Propulsion Systems, LLC and Program Manager forthe ISS-bound NOFBX Flight Demonstration Experiment. ISPS is chartered with advancingNOFBX® propulsion technologies and bringing them to the commercial andgovernment markets. Brian is also a founder and CEO of Odyssey Space Research,LLC, which specializes in Guidance, Navigation and Control, systemsengineering, software, analysis, and human spaceflight safety.